This summer has been full of amazing clients, weddings, and memories! We've been a part of some of the most amazing weddings, elopements, and even photo shoots this summer and have loved every minute of it. 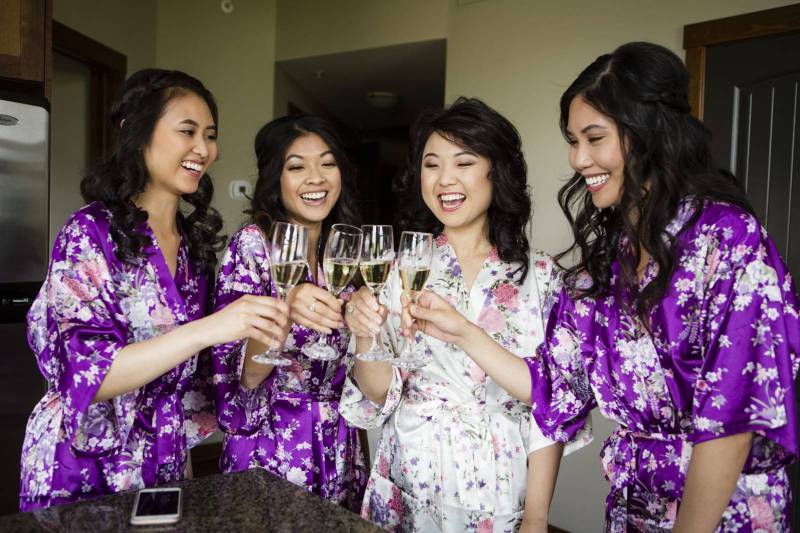 Li & Michael were married in Canmore at the gorgeous Silvertip Resort and our team was on-hand before the wedding to help Li and her bridesmaids get ready. Thank-you to Studio Lumen for sharing these gorgeous photos with us! 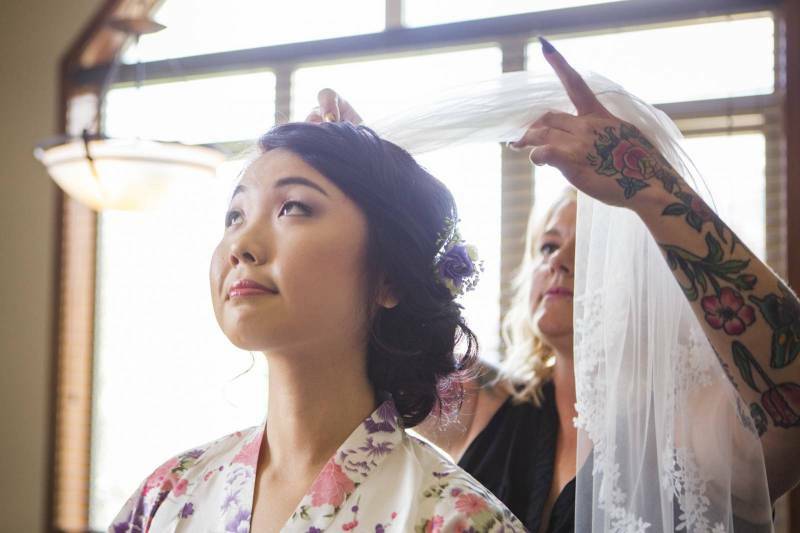 We loved adding a touch of real flowers and a classic veil into Li's gorgeous updo! The entire look we created was soft, elegant and completely romantic. 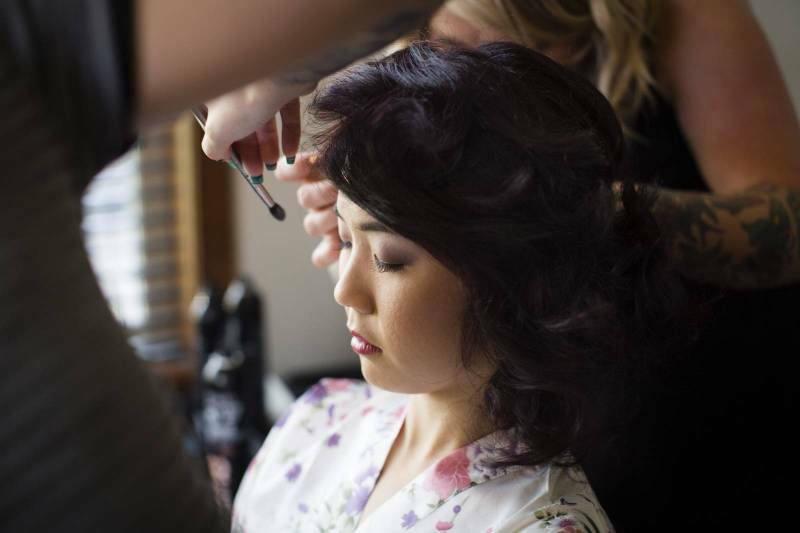 Our team of Canmore hair & makeup artists loved working with Li and being a part of this incredible wedding. We hope you enjoy the photos from the wedding too!